Financial Planning Should Be A Milestone In Each One’s Life That Often Gets You Stuck. 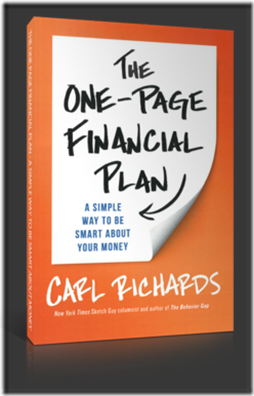 The One-Page Financial Plan Helps You Out To Tackle It And Take Action. Let’s Find Out Why. I am thankful to Carl Richards for having had the chance to read his book. While reading it I had a kind of back to the future time travel remembering hard time spent trying to understand how to deal with money and to create my own financial plan. Unfortunately, this book was not available at that time and past is behind my shoulders. In my opinion, time is the main topic of the book and this should not surprise you. Time is not replicable, we live just once and wrong financial decisions can seriously damage our future. For example, bad debt owns your money, your future, therefore your life since it also compromises your happiness. Get out of it is a wise choice and this is one of the reasons why The One-Page Financial Plan is worth to read. Good financial habits can help you to own your life, have more time to spend with people you love and reduce the uncertainties of the future. Each one of us is unique and a has own goals and dreams that should be supported from a financial point of view. Unfortunately, most of the time, when it comes to financial decision, each one gets stuck and no action is made. Financial planning could be like a pro workout you are not trained for. The good news is you can easily create your own by following Carl’s steps to define your own polar star, that will always show you your way. Approach behind The One-Page Financial Plan seems to be inspired by ‘Keep it simple, stupid!’ mantra that helps you out to just being focussed on what really matters: goals, time, happiness and your life. Not to mention, that the idea to use a napkin is a pure gem! A napkin cannot be as scary as a one-hundred-page document and it is easier to be focussed on. 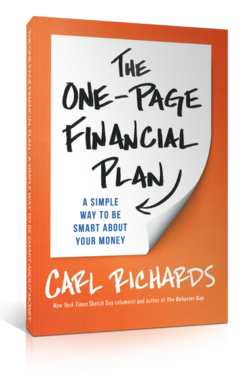 Financial planning is simple if you know how to do it, and this what this book is exactly here for! Book helps you to discover what really matters to you and why, understand where you are now and where you want to go and how to do it. What you should know about spending and savings and how to be aware of where your money goes. What you should pay attention to while saving. Why you should start investing ASAP and how to do it. Golden rules and rules of thumb. Wise questions you should ask yourself to create a plan that suits you. If you care about your time, money, life and freedom get a copy of the book, read it and START ACT accordingly. You will be thankful to Carl for the rest of your life! Best wishes for your wealth future.